Synopsis- After working in a London hospital emergency room, a month as a GP in rural South Australia can’t be that hard – or can it? Meghan Kimble is taking control of her life. Newly single, she’s returned to Australia to follow her dream of working as a GP. And her first stop is a month-long locum in the colourful community of Magpie Creek. It’s been months since the town has had a doctor and Meghan is generating more than her fair share of attention, especially from forthright farmer Sean Ashby. A handsome man with a difficult past, Sean isn’t shy about making his intentions known to the redheaded medico. Against her better judgement, Meghan finds herself charmed by the enigmatic Sean. But time is against her and when love threatens to derail her career plans, she is forced to reassess her priorities in ways she never imagined. Is Meghan ready to fall for all that life in Magpie Creek has to offer? Set in vibrant small-town Australia, this heart-warming contemporary rural romance heralds an exciting new voice in Australian fiction. 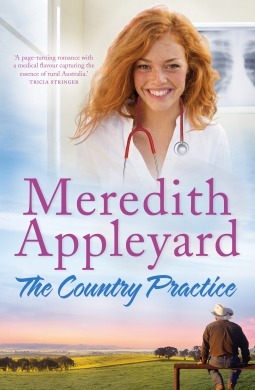 Review- The Country Practice is the debut rural romance novel by Australian author Meredith Appleyard, published by Penguin Random House. Meghan Kimble is ready for a new start. She’s ended a stagnant relationship that took her to a mundane job in London and has returned to South Australia as a locum GP in rural communities. Her first stop is Magpie Creek, a town who work hard to make her feel welcome as they’re desperate to keep a permanent GP. Meghan is hardworking and eager to get straight into it, even starting a day early and stabilising a cardiac arrest victim who collapses in the Hospital corridor. It’s where she has her first encounter with the charming, broody farmer Sean Ashby. From that day on she is worked off her feet with the demands of the job, and swept off her feet by the unlikely friendship (and romance) that forms with Sean. I read this book quickly and enjoyed the author’s voice, pacing, intelligent and complex characters and of course the realistic community feel of Magpie Creek. Meghan is determined, passionate and eager to put herself and her career before any man, but her feelings for Sean intercept her plans. I really appreciated the author’s medical background in creating an bright, realistic and likeable female lead and it added an extra layer of depth to the story that I found particularly interesting. Working in healthcare myself, I was drawn to this element of the story just as much as the character and setting. The slow-building romance between Meghan and Sean is realistic, believable and full of emotional depth and complexities. Meghan and Sean both have issues to sort through before they can make the relationship work and ascertain whether they can build on it beyond the short time-frame of Meghan’s stay. Sean is the main driving force behind their budding relationship, but gets cold-feet near the end of the story. I felt a little frustrated with him at this point and wanted him to deal with his issues quicker than he did, but I think the author sensibly resolved the conflict between Meghan and Sean without tying up the loose ends too neatly. There’s so much to love about this story, and if you are keen to delve into a well-written Australian rural romance, then you won’t be disappointed with The Country Practice. 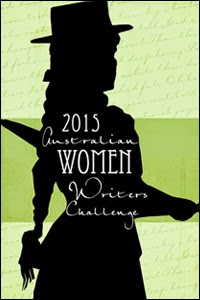 To see my Q&A with Meredith posted earlier in the week click HERE.